While visiting Gaafaru Island of Malé Atoll, Vice President Faisal Naseem has met with the Island Council and senior officials of State institutions in the island. 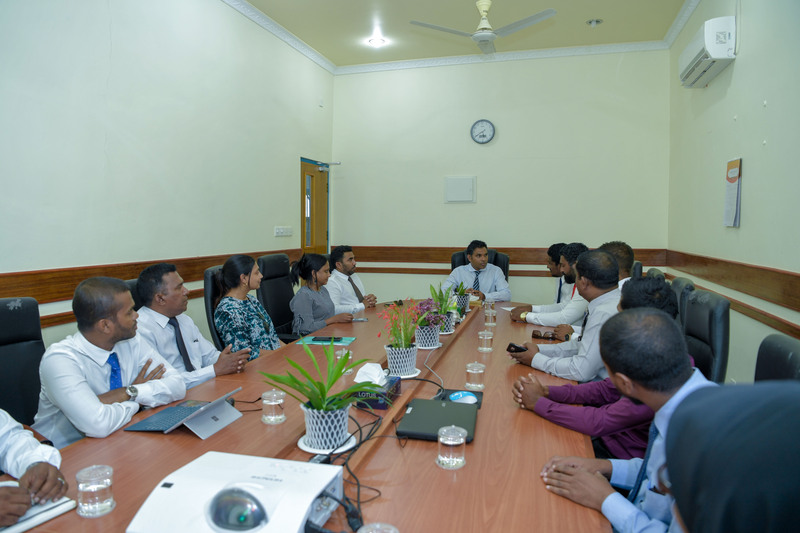 At the meeting held at the Gaafaru Council secretariat, the Vice President was briefed on the challenges being faced by the people of Gaafaru. In this regard, the council members highlighted the need for land reclamation and establishment of a proper sanitation system, and the problems of coastal erosion. The senior officials of the Gaafaru School noted the lack of space at the school, and Gaafaru Health Centre officials highlighted their requirements in order to upgrade the health centre. Speaking at the meeting, the Vice President stated that his visit was being made in order to enquire the people’s needs, and discuss ways to tackle the difficulties being faced. He said that the administration is always at the people’s disposal in meeting their needs. Further, Vice President Naseem urged the council members to collaborate with the school in conducting various social activities, and aim to build healthier future generations. Emphasising the important role played by the local councils in maintaining the stability among the people, Vice President Naseem appealed to the council members to initiate public awareness campaigns on important issues.